After the succes of the activities organized in 2013 to celebrate the International Year of Statistics, the International Steering Committe will keep promoting statistics through a new worldwide initiative called World of Statistics. The celebration gathered the activities of more than 2,300 organizations throughout 128 countries, being Mexico one of its main promoters. In this country, 76 organizations participated in Statistics2013, carrying out activities in universities, schools, research centers government agencies and private corporations. Within the academic institutions, remarkable contributions were made by the National Autonomous University (UNAM), the Technological Autonomous Institute of Mexico (ITAM), Metropolitan Autonomous University (UAM), and the Center of Research in Mathematics. 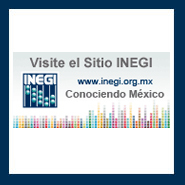 Among the government agencies a special participation was done by the National Institute of Statistics and Geography (INEGI), organizing a national launching event with UNAM and the Mexican Statistics Association (AME), and the National Forum of Statistics, during September, in the city of Aguascalientes, also with AME. From its beginning, Statistics2013 worked for three objectives: spread the impact of statistics in society, promote it as a career and promote its development as a science. This objectives allowed to put forward and articulate the activities of diverse institutions, including research centers such as CIMAT, active promoter of Statistics2013. Within academic and scientific activities, CIMAT organized more than 30 scientific talks given by state-of-the-art researchers from the United States, England, Sweden, India, Denmark and of course Mexico. These talks contributed to the knowledge of both active researchers and graduate students. 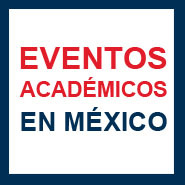 Seminars and workshops took place in pure and applied statistics, some of them were organized with institutions as UNAM, UAM, ITAM, the Technological Institute of Monterrey, tech institutes of Aguascalientes and Celaya and other universities such as Aguascalientes University and the Antonio Narro Agrarian Autonomous University. Among others, two events were relevant for the scientific events organized by CIMAT during this year: the Second Workshop on Risk Analysis in Economy and Finance (with University of Guanajuato) and the Workshop on Multivariate Analysis and Random Matrices. Within the first Mathematical Congress of the Americas, Statistics2013 at CIMAT presented the open lecture "On Coincidences", by Persi Diaconis, which summoned an audience of students, researchers, journalists and general public of approximately 15 hundred people in Guanajuato, on August the 5th. 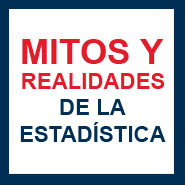 Besides that, the Mexican Mathematical Society edited a special number of its Newsletter for the Year of Statistics, to be published in further time. Workshops, schools and courses were given also to secondary school teachers, highschool students and micro-entrepreneurs. During April and May, CIMAT and the Mexican Statistics Association held the first Workshop on Statistics, for children in primary schools of Guanajuato. All this was posted in social media and found echo in the media through the radio, newspapers and local television broadcasters. During 2013, cultural activities were promoted, such as a data visualization competition for plastic artists; statistics-related movies were shown and commented by researchers of CIMAT and a number of concerts performed with music composed by stochastic composers, including a performance by one of the most reputed groups in Mexico, the Chamber Orchestra of the INBA (National Institute of Fine Arts) in its home: the Manuel M. Ponce hall, at the Palacio de Bellas Artes, in Mexico City. The Simphony Orchestra of the Guanajuato University participated in Statistics2013 as well, with debut performances of stochastic compositions. 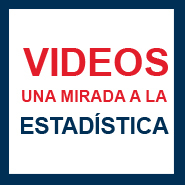 Researchers at CIMAT have written about statistics, its impact and its myths and realities that will remain available at www.estadistica2013cimat.mx with other resources, as "A look at statistics from the viewpoint of other fields", a series of video interviews with professionals from fields such as risk management, industrial production, trade and scientific research, in which a broad and diverse perspective of statistics and its applications is presented (www.estadistica2013cimat.mx/videos). 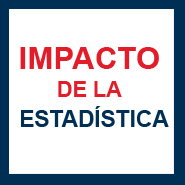 CIMAT promoted a number of articles about the impact of statistics throughout history, written by some of the most important names of statistics in Mexico (www.estadistica2013cimat.mx/colaboraciones-en-medios). These articles were published by some of the most read national newspapers. Gathering statistics and Mexican traditions, students from CIMAT and the University of Guanajuato built an altar for the Day of the Dead, in remembrance of Thomas Bayes, Ronald Fisher and Jacob Bernoulli.